NEW IN....The new design of the famous John Hinde Drink Bottle is now in! John Hinde Personalised My Name Handy Drink Bottle. 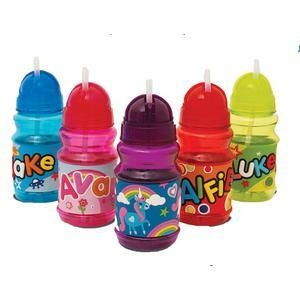 Personalised Drink Bottles-Cool, Colourful & Perfect for Children. 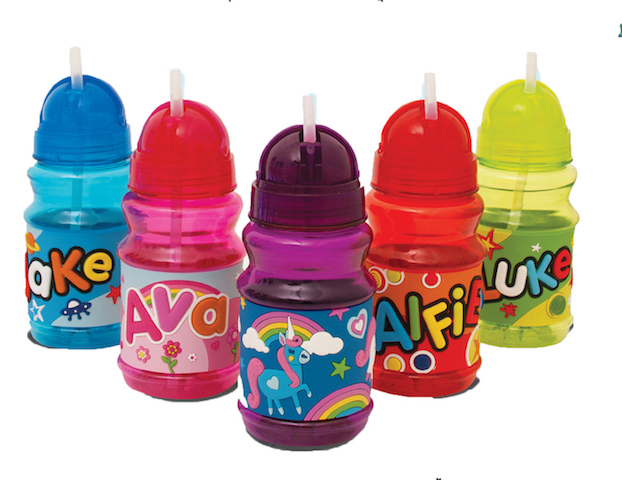 The flip lid, pop-out straw and tactile embossed wrap make My Name Handy Bottles the perfect personalised gift for kids everywhere. 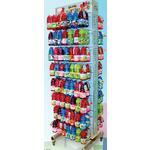 Their compact size makes them the ideal fit for lunchboxes and the colourful fun designs are perfect for children. With over 100 of the most popular names to choose from these are sure to be a must buy for the child in your life! All bottles come in a pre-set colour from the factory. The bottles are made from clear plastic and have a sliding lid with straw underneath. BPA free.